Source: Fashion Media Make-up Deptt. 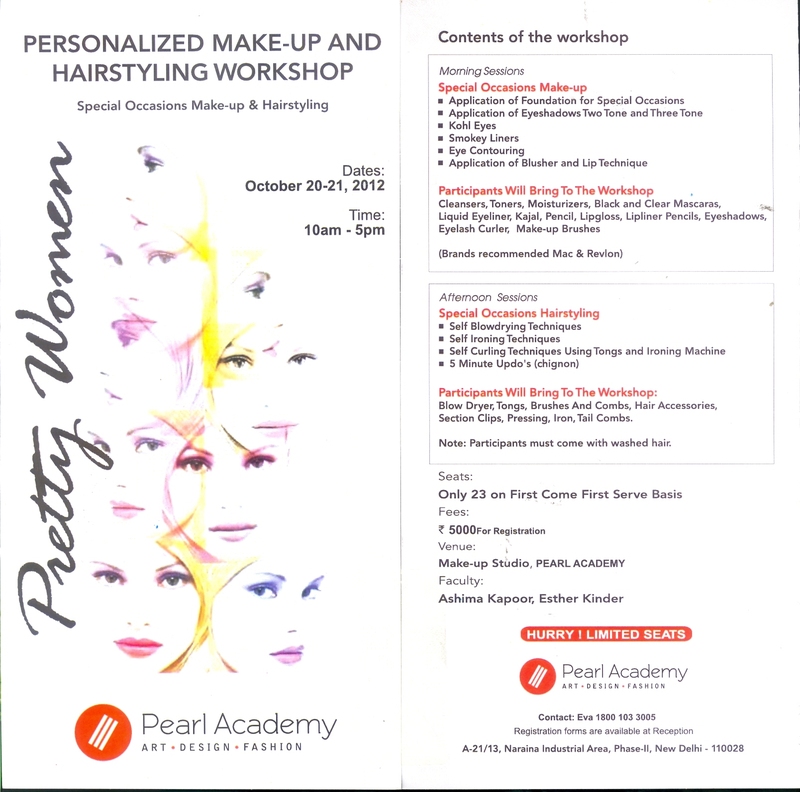 Pearl Academy, Delhi. Students of Pearl Academy of Fashion from Fashion & Media Makeup (FMM) programme displayed their creativity and capability in working with personalised character and special effects makeup skills by creating fictional/real life characters. The workshop took place under the supervision of renowned Makeup Artist K Mohan, HOD, Make-up — FTII (Film and Television Institute of India), Pune. Pearl Academy of Fashion (PAF), India’s leading Fashion and Design Institute known for its internationally benchmarked quality of education, hosted Convocation 2011 for its graduating batch. The 19th Convocation conferred Diplomas/Certificates to the graduates of Academic Year 2010-11 for -thirteen programmes- PGFR, PGFD, PGGM, PGFMG (Post Graduate Programmes) and FMM, FSID, FD, TD, CD, FMP, FRM and PSB (Under graduate degree Programmes). In his welcome address, Dr AKG Nair said that the high rank PAF occupies among fashion & design schools is not merely an indicator of its incessantly growing performance and popularity; but it also indicates the deep and constant commitment to improvise in institute’s organizational practices and contribution to the fashion and design fraternities. Convocation 2011 ended on a high note with students throwing their graduation caps in the air, beaming eyes looking forward to yet another challenging phase of their lives and enjoying the camaraderie of fellow students & faculty members. 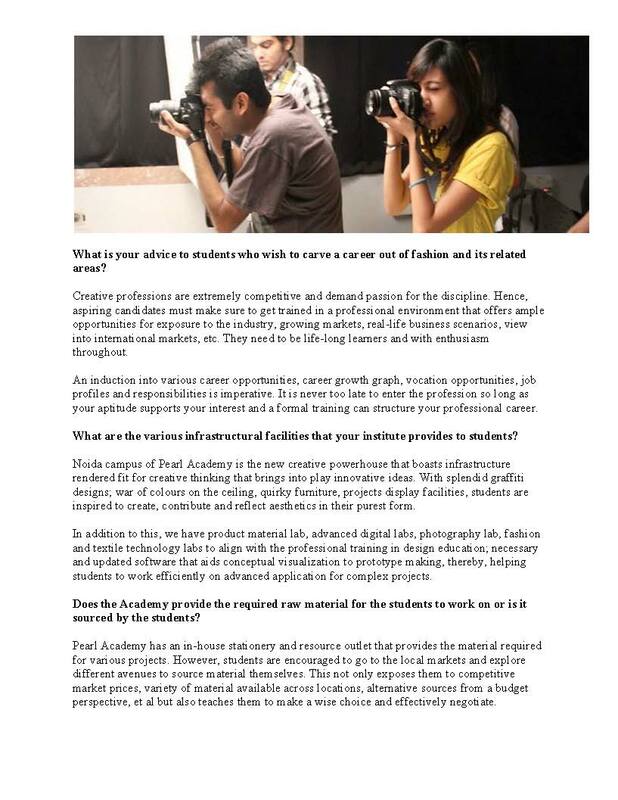 Pearl Academy of Fashion has announced admissions to its four-year B.A. (Honours) programme in a host of fashion-related disciplines including fashion, textiles, jewellery, interior architecture, communication, fashion styling and image, fashion media communication, fashion business management and fashion retail management. In order to apply, students must have passed Class XII with a minimum of 50 per cent from any recognised Board. 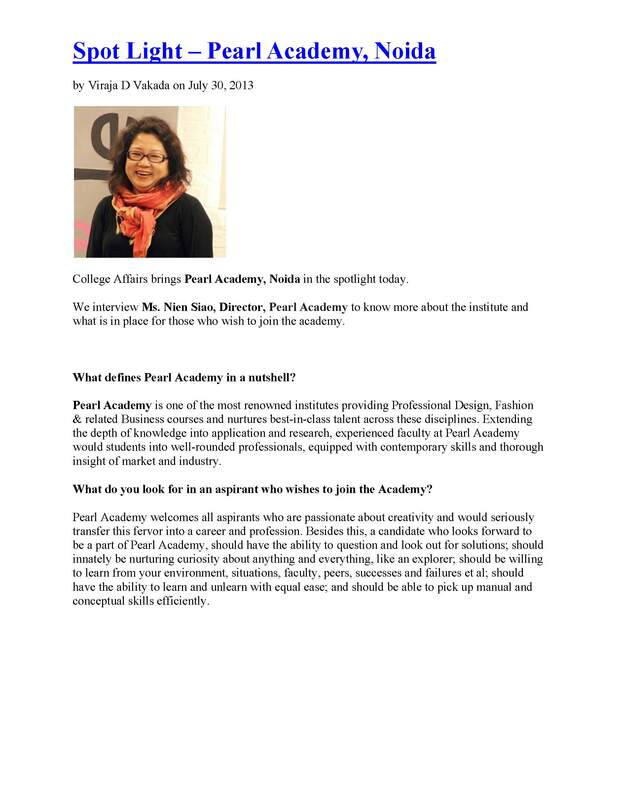 Applications forms can be obtained online from http://www.pearlacademy.com. The last date for receiving application is May 14. The entrance test will take place on May 22 at New Delhi, Jaipur, Chennai, Kolkata, Mumbai, Lucknow, Chandigarh, Ahmedabad and Kochi. Selection for all courses will be based on a general proficiency test, design aptitude test, group discussion and personal interview. While going out for a party, most skip the thin line between dressing well and dressing their age. Voluminous dresses and loud make-up which ages them far beyond their years, is what many girls and boys are going in for often confusing between goth-punk and the “aged” look. Take a cue from Hailee Steinfeld, the 14-year-old Oscar nominee, who wore a cute age-appropriate dress by Prabal Gurung at the Golden Globes and won accolades for her look, as opposed to teen queen Miley Cyrus who often comes across as much older than her 18 years. Style gurus also advise teenagers to dress apt for their age. Fashion designer Nida Mahmood says that young girls have an entire life to dress up as grown-ups. “Don’t let go of your innocence,” she says. “While dressing up, enjoy the state of being carefree, but timid,” she adds. Nida says revealing clothes are a big no-no for young girls. “It’s always nice to wear stuff, which is girly and feminine. Try floral prints and experiment with colours instead of going bare dare,” she suggests. “Also, make-up should be avoided. Instead, opt for a few delicate pieces of jewellery,” adds stylist Sadat Karim, who adds that looking nice is often confused with looking old.